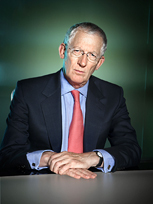 In the 1980s Nick Hewer’s PR firm was selected to represent Amstrad and soon became responsible for media handling of all Alan Sugar’s business and charitable activities. 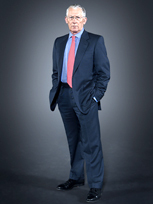 For over 20 years Nick played an integral part in Amstrad’s management structure. He also built a long and impressive client list, including the Secretariat of HH The Aga Khan and the wife of the ruler of Dubai, the late Sheikh Maktoum, as well a number of British and international companies. Nick Hewer was exceptionally brilliant. He delivered a good performance, was interesting to listen to and entertained our guests the way we expected.